Larry Price was born on June 1, 1947, in Washington, D.C. After graduating from college, he entered Officer Training School with the U.S. Air Force on May 20, 1970, and was commissioned a 2d Lt at Lackland AFB, Texas, on August 18, 1970. 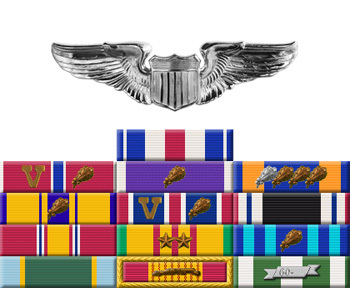 Lt Price next completed Undergraduate Navigator Training and was awarded his navigator wings at Mather AFB, California, in June 1971. After completing F-4 Phantom II Combat Crew Training, he served as an F-4 Weapon Systems Officer with the 435th Tactical Fighter Squadron at Ubon Royal Thai AFB, Thailand, from April 1972 until he was forced to eject over North Vietnam and was taken as a Prisoner of War on July 30, 1972. After spending 243 days in captivity, Lt Price was released during Operation Homecoming on March 29, 1973. 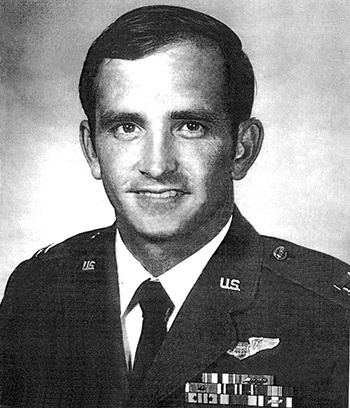 He was briefly hospitalized to recover from his injuries, and then attended Undergraduate Pilot Training, earning his pilot wings at Moody AFB, Georgia, in November 1974, followed by F-4 Combat Crew Training with the 62nd Tactical Fighter Squadron at MacDill AFB, Florida, from November 1974 to October 1975. Capt Price next served as an F-4 pilot with the 78th Tactical Fighter Squadron at RAF Woodbridge, England, from October 1975 to August 1977, and then as an F-5E Tiger II Aggressor Pilot with the 527th Tactical Fighter Training Aggressor Squadron at RAF Alconbury, England, from September 1977 until he left active duty on December 1, 1978. After leaving the Air Force, Larry flew with Federal Express until his death on December 22, 1984. He was buried at the Fort Sam Houston National Cemetery in San Antonio, Texas. First Lieutenant Larry D. Price distinguished himself by gallantry in connection with military operations against an opposing armed force as an F-4D Weapon Systems Officer in Southeast Asia on 30 July 1972. On that date, Lieutenant Price flew as an element of fighter bombers on a dangerous and sensitive mission deep within hostile territory. Despite heavy defensive reactions consisting of numerous surface-to-air missile barrages, Lieutenant Price was able to carry out his duty, reflecting a high degree of aeronautical skill. By his gallantry and devotion to duty, Lieutenant Price has reflected great credit upon himself and the United States Air Force.